The capital has seriously upped its fitness game in recent years. 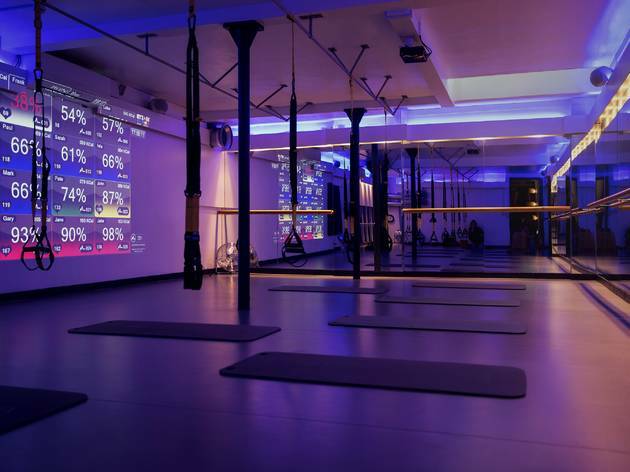 No longer making do with a half-arsed half-hour on the cross trainer and a worn-out Davina workout tape, Londoners are opting for niche – but farmore effective – exercise options. Over on the Fulham Road, you can’t move for upmarket spin studios, yoga hotspots and ambitiously priced juice bars. It’s a natural location for the south-west outpost of Heartcore, a chain of super-swish boutique gyms dealing in super-charged fitness classes, from ballet-inspired barre workouts to reformer pilates sessions. Before I’d even tiptoed en pointe into the basement exercise studio, I was immediately won over by the changing rooms (which - trust me - isn’t exactly a phrase I trot out regularly). The feel is more high-end spa than sports centre, thanks to mood lighting, luxe fixtures and a styling space that’s stocked with hair dryers, straighteners and – crucially – hair ties. The 55-minute barre class is a killer, mixing conditioning work on the matt with classic ballet-inspired moves at the barre. Thanks to the varied programme – not to mention the friendliness and enthusiasm of instructor Natalie – the session flies by. The compact class size means that posture and form receives plenty of attention, too – a real plus point for absolute beginners lacking in natural grace. Upstairs, you can book in for an equally demanding session on the pilates reformer – a machine that’s unnervingly akin to a medieval torture device, but delivers impressive results after just a few sessions. New for the autumn – and a UK exclusive for Heartcore – is the heart-monitored TRX class. A combination of HIIT training and TRX suspension work, this intense session is not for the faint of heart or weak of abs. Worn below your chest level, the little monitor doesn’t just charts your heart rate - it projects the figures onto the studio wall for all to see, meaning that slacking at the back is firmly off the agenda. It’s slightly terrifying, but definitely motivating. At £27 per class, prices are undeniably steep (this is Fulham, after all) but just a glance at the regulars proves that if you’re serious about fitness, Heartcore is more than worth the investment. A beautiful reformer studio, knowledgeable instructors , fantastic products and a workout that will leave you feeling every muscle, in the very best way. I highly recommend Heartcore for a workout that will push your body and clear your mind. Since leaving Melbourne, I found it really difficult to find anywhere that did reformer pilates at a reasonable price. Heartcore brings you top quality classes in an incredibly beautiful space. They have thought out every aspect of their studios perfectly from the essential oils filling the air to the fully kitted out change rooms. Their instructors will push you but make you feel amazing at the same time. I highly recommend this place if you are looking for an all over body and mind workout. One of my favourite work out spots in London. 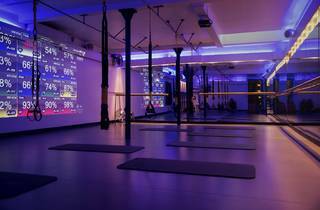 Heartcore are known for their reformer pilates classes but this Fulham studio has great TRX classes which absolutely kill you (in a really good way). I had never tried TRX before going along to a Heartcore class but there was no issue and the trainers are very good at explaining everything and ensuring that everyone in the class is working to their own personal limits. The studio is lovely and peaceful, beautifully clean and luxurious. And the best part about Heartcore... sign up on the website and your first class is free!